City Trash Pickup Will Be Different The Next Two Weeks. In his weekly newsletter, Ald. 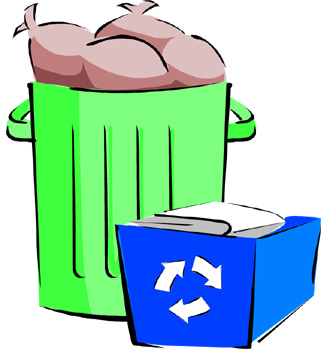 Cappleman says, "Holiday Changes to City Garbage and Recycling. Please note these important changes to the refuse and recycling schedule for the 46th Ward due to the Friday, December 25 (Christmas) and Friday, January 1 (New Year's Day) holidays. All city-collected refuse and recycling will be serviced Monday through Thursday. Residents should ensure all black refuse carts and blue recycling carts are accessible throughout the week of collection, not solely on their regular day of collection." If you live in a building that pays for private collection of trash, you'll have to check with your company to know the schedule for pickup. 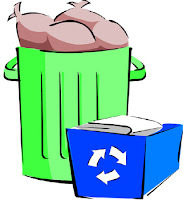 UPDATE: Ald Osterman says, "Because of the Christmas holiday this Friday and the New Year's holiday next Friday, households that normally have Friday garbage pickup will have pickup instead on Thursday December 24 and Thursday December 31. There is no change in schedule for households that regularly have Tuesday pickup." The City is Changing Its Recycling Policies. There will be new recycling policies in 2016 for the blue carts. The main things the initiative stresses are no plastic bags (put recycling items inside the blue carts loose) and no styrofoam/polystyrene/plastic #6. You can review the new policies at this website: www.chicagorecycles.org. Condo Refuse Rebate Forms Due In Early January. If your condo association applies for the city rebate for trash pickup, you must have the forms into your alderman's office by January 8th. Only residents who have previously received these rebates are eligible. Click here to find all the needed information and forms to complete. Contact your alderman's office with any questions.